Download Space Slant font for free. Space Slant is a font / typeface offered for free. please note that if the license offered here is non-commercial you have to obtain a commercial use license / permit from the original author. Need a quick hand drawn element to your design? 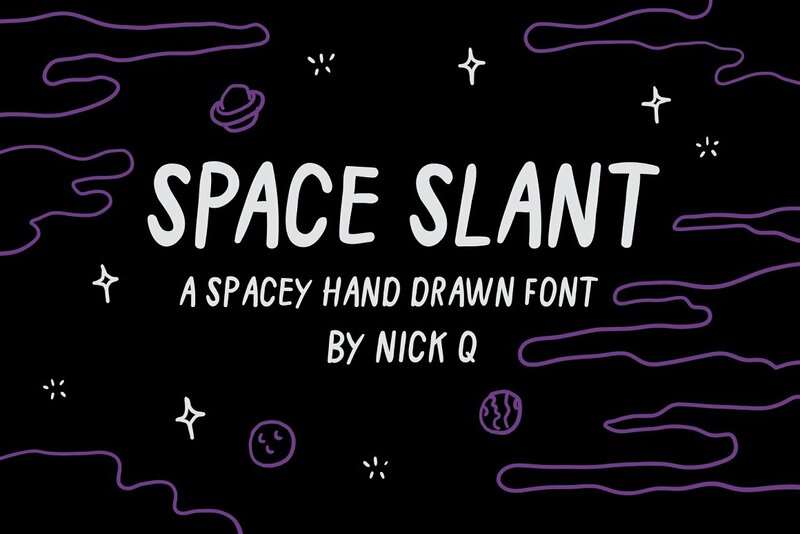 Get to your end results faster with my hand drawn font Space Slant! Perfect for posters, backing cards, band merch and more! Each character was hand drawn in Illustrator. Purchase includes one .otf file with all uppercase characters, lowercase characters, numbers and symbols. Please let me know if you have any problems, suggestions or questions! If the Space Slant font is offered under 'commercial use free' or 'creative common' license, feel free to use Space Slant font for any purpose.